Our Monmouth County employment lawyers represent employees in all areas of employment law throughout the state of New Jersey. The Monmouth County discrimination lawyers of Smith Eibeler represent residents and individuals who work in Monmouth County in claims of wrongful termination, sexual harassment, disability discrimination, reasonable accommodation, pregnancy discrimination, severance agreements, equal pay violations, unemployment appeals and non-competition litigation. 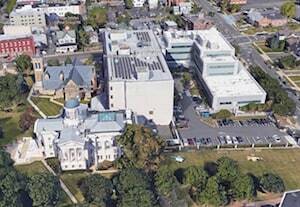 Our law firm is located in Monmouth County at the Bell Works building in Holmdel, New Jersey. Monmouth County is located in central New Jersey and is bordered by Middlesex, Ocean, and Mercer counties. Monmouth County contains the municipalities of Colts Neck, Asbury Park, Fair Haven, Long Branch, Middletown, Red Bank, Rumson, Freehold Hazlet, Holmdel, Shrewsbury, Little Silver, Tinton Falls, Neptune, Howell, Ocean Township, Manalapan, Manasquan, Wall Township, Marlboro, Eatontown, Monmouth Beach, Spring Lake, Oceanport, Sea Bright, Sea Girt, Belmar, Keansburg, Keyport, Farmingdale, Brielle, Matawan, and the Highlands. 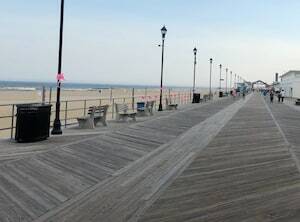 Monmouth County includes coastal towns from the Highlands to Manasquan. It stretches from Union Beach and Keansburg in the North, Freehold and Millstone to the West, and Howell, Wall, and Brielle to the South. Monmouth County has a total area of 665.32 square miles, which includes 468.59 square miles of land and 196.53 square miles of water. Henry Hudson first discovered the land that became Monmouth County in 1609, and the county was later founded in 1683. According to the 2010 Census, the total population of Monmouth County is 630,380 people, which is comprised of 233,983 households and 163,320 families. The median age of Monmouth County residents is 41.3 years old, and in 2000, the median income of each Monmouth County household was $64,271. According to Visit Monmouth, the largest ten employers in Monmouth County include Hackensack Meridian Health, Saker Shoprites, Inc, Centrastate Healthcare Inc., RWJ Barnabas- Monmouth Medical Center, Monmouth University, NJ Resources, Visiting Nurse Association of Central Jersey, Commvault, Erickson Living, and Food Circus Supermarkets Inc. Monmouth County is also the home of Bell Works, is the home of many small businesses and our law firm. Monmouth County is known for its fantastic centers for entertainment. 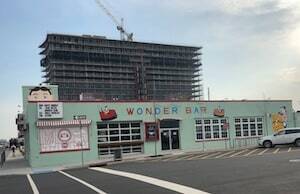 The Stone Pony in Asbury Park, as well as the PNC Bank Arts Center and the Count Basie Theater are famous venues for various shows and concerts. They’ve presented successful artists such as Bruce Springsteen, Lil’ Wayne, Dave Matthews Band, and One Direction. 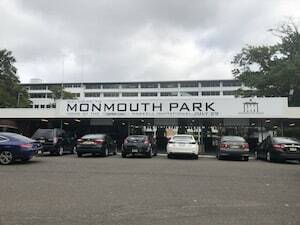 Monmouth Race Track is a hub for horse races and sports betting, and holds the wellknown Haskell race annually. Downtown Red Bank, Pier Village in Long Branch, and the Grove at Shrewsbury are beautiful shopping centers that are also populated by 5 star restaurants such as Teak in Red Bank and Sirena in Pier Village. Monmouth County maintains part of the Gateway National Recreation Area, which is a National Park that contains Sandy Hook. Within Sandy Hook lies Fort Hancock, which served as a military base until 1974, as well as seven beaches. Other public parks in Monmouth County include Hartshorne, Thompson, Swimming River, Dorbrook, and Seven Presidents Oceanfront Park. There are both public schools and private schools located in Monmouth County. 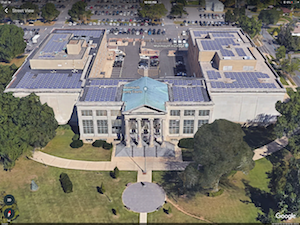 A few of the largest public high schools include Red Bank Regional, Rumson-Fair Haven, Monmouth Regional, Freehold Regional, and Colts Neck Township High Schools. The county also contains private high schools such as Red Bank Catholic, Ranney, Christian Brothers Academy, St. John Vianney, and Mater Dei Prep. The Monmouth County Vocational School District contains the highest ranked high school in the state, High Technology High School in Lincroft. There are two colleges located within the county as well, which are Monmouth University in West Long Branch and Brookdale Community College in Lincroft. Famous persons who live or have lived in Monmouth County include Jon Bon Jovi, Greg Anthony, Queen Latifah, Bruce Springsteen, Jon Stewart, and Chief Justice James R. Zazzali. Monmouth County is known for its beautiful beaches and high quality restaurants. The Superior Court for Monmouth County is located at 71 Monmouth Street, Freehold, New Jersey. Our New Jersey employment lawyers can file a lawsuit and have it properly venued in Monmouth County if one of the parties lives in Monmouth County or if the employer regularly conducts business within Monmouth County. Should you or a family member have an employment related legal issue and are in need of a Monmouth County employment lawyer, please call our office today to discuss the facts and circumstances of your employment related legal issue.